UVSS has been active in the solar PV infrastructure market since 2014, initially through a Joint Venture (Euro Mounting Systems) alongside international firm Enertronica. 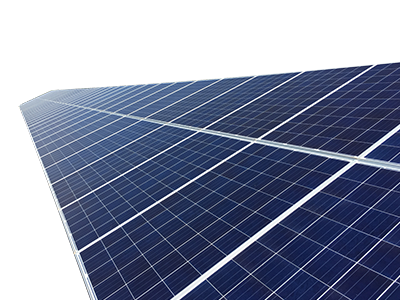 From 2018 UVSS will be directly supplying solar PV infrastructure following its acquisition of the Joint Venture at the end of 2017. The business was established in the Orange Free State in 2014 and was strategically positioned to supply various PV Solar projects throughout South Africa via its central location. Through a strategic partnership with Macsteel we manufactured and supplied steel frames, profiles and mounting structures for 4 sites i.e Paleisheuwel, Tom Burke, Adams, Pulida – a total of 310 megawatts). These time-sensitive large-scale projects were completed on schedule and ahead of time. Our operations are set up to run 24 hours a day via several manufacturing lines. We have assembled a team of experienced personnel who have met tight deadlines and produced high volumes of product to required standards. We are extremely proud of the manner in which we have satisfied our client’s requirements through excellent service and consistent output volumes. We pride ourselves on our ability to be flexible and meet any and all challenges that come our way. We have embodied a culture of hard work and pride in our products and our business. To be the foremost manufacturer of large-scale high quality mounting structures and components to the Solar and Photovoltaic Industry in Southern and sub-Saharan Africa. To partner with reputable and reliable companies to provide an excellent all round service to customers encompassing the best possible input costs, reliable and consistent deliveries and consistent output resulting in the successful attainment of tight deadlines. • Cassette based machines to cater for specific sizes and mass production – new designs can be rolled by simply changing a cassette. • All machines are CNC Controlled and operate with CNC controlled pre-punch tooling, ensuring maximum accuracy of hole punching and centring of holes. • Cassette based machines can be utilised for any special designed profiles ranging from 0.8mm to 2.5mm thickness.